Day 1; Transfer to Queen Elizabeth National Park. 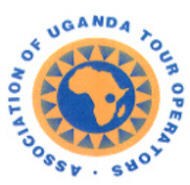 A driver guide from AA safaris and tours Ltd will pick you up from your hotel in Kampala. 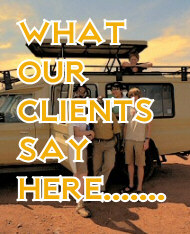 He will drive you southwestwards towards Queen Elizabeth NP to start your Uganda Safari section. Along the way, you will stop at the Mpambire drum makers and then later proceed to Queen Elizabeth NP. You will go for a tour around the Crater lakes region not leaving out the Katwe Salt lakes where salt is traditionally mined. In the 16th century, salt was among the most important goods that lured the attention of very many people in and to Africa. It was rendered as one of the most expensive minerals and was traded for other goods like clothes, bullets or even guns which were given the ruler of that time. Wake up relatively early for breakfast and then later you will be driven to either Kalinzu protected area or Kyambura Gorge for your chimpanzee tracking . Briefing starts at 0745. The 100M Kyambura Gorge is a home to mans closest cousins the Chimpanzee and many other primates. The Kalinzu protected area is another home that one can give a thought if the Chimpanzee permits for Kyambura gorge are fully sold out. The rangers will provide you with detailed information about the flora and fauna that you will encounter as well as primate. Return to the lodge for lunch and then later assemble at Mweya’s Kazinga channel for an afternoon launch cruise . The shoreline of the Kazinga channel attracts quite a vast number of birds and many mammal in the park come along the banks to take water . The guides will give you details along the boat ride and then later you will return to the main land . Dinner and over night at the lodge of your budget . Day 3; To Bwindi National Park. Luxury- Gorilla Resort Camp / Gorilla Forest camp/ Clouds lodge/ Gahinga Volcanoes Lodge. Have your breakfast early enough and then your guide will pick you up from your lodge and transfer you to the UWA offices for briefing and then later. Start trekking the gorilla forest as you search for the gorillas. Note that gorilla tracking can take 2 to 7 hours. The time taken to see the gorillas is unpredictable however an encounter is a worthwhile. Stay with the gorillas for 1 hour and then later transfer back to your lodge for dinner and over night . Day 5- Transfer to Volcanoes National Park. Rwanda is GMT +2 1 hour Behind Uganda. Take your breakfast and then transfer to Kampala .Lunch en route . End of your gorilla tour with AA safaris and tours Ltd.
Ps. Obtain the East African Tourist Visa for this Uganda and Rwanda Safari to enable you visit all countries.